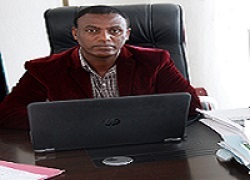 Crops Research Directorate is one of the seven research directorates of Oromia Agricultural Research Institute (IQQO) that aims to increase the productivity of crops through generation of improved agricultural technologies and practices. 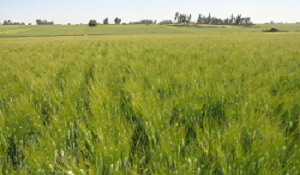 The crops research directorate of IQQO is mandated to conduct and coordinate crop research in all agro-ecologies of Oromia, considering all crops of economic importance for food and nutrition security, domestic and export market, industrial and other aspects of utilities. To develop improved crop production technologies suitable for all agro-ecologies of Oromia in effort to increase crop productivity per unit area. Release improved crop varieties that are climate-resilient and superior to the best varieties under production in terms of yield, pest resistance, stress tolerance or quality parameters. Recommend optimum agronomic technologies and practices that increase crop productivity. Recommend safer and cheaper pest management technologies and practices. Periodical surveillance and status record of the changing pest dynamics in the face of changing climate. Train experts, Development Agents & farmers on the use of improved crop production technologies. Maintenance of breeder seed of improved varieties that are under production. Currently, eight agricultural research centers viz., Bako, Sinana, Fadis, Machara, Adami Tulu, Bore, Harosabu and Yabello are engaging in research on various crops to varied extent and representing different agroecologies. Most of these research centers are recently established except the three which were set to be administered under Oromia as a result of the decentralization in 1994. Following the decentralization, improved crop production technologies & practices - particularly varieties have been released solely by the two research centers viz., Sinana and Bako, whose establishment dates back to the 1950s & 1970s when most of other sister research centers were established in the country to represent the different agro-ecologies. 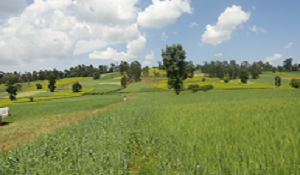 These research centers represent different agro-ecologies and lie in high potential areas of crop production in Oromia for the highland and lowland areas, respectively. The two centers, each, nevertheless have been conducting research on quite diverse crops and subsequently released 115 different types of crop varieties for some 27 types of food crops in cereals, pulses, horticultural crops, oil seeds and seed spices. The remaining six research centers working on crop research have recommended adaptable varieties released from similar agro-ecologies in the country and elsewhere. Besides varieties, various agronomic and crop protection recommendations are also available for the different crops, diseases, insects and weeds. At all research centers, there are three multidisciplinary research teams for crops: Cereals, pulses & oil crops and horticultural crops & spices research teams. Besides, there is coffee research team in Macara Agricultural Research Center. Process owner, representative of the directorate in the particular research center facilitates and coordinates all the activities of the research teams and is directly accountable for the directorate of crops research in the head quarters. A wide range of annual and perennial crops of economic importance- food security, export and industrial have been substantially improved for yield, pest resistance and quality and are under research for continuous improvement . Cereals are major group of staple foods for the majority of peasant and urban population, occupying nearly 83% of grain land and 88% of the total grain production of the nation. They are grown in almost all zones of the region with notable variation in the extent of areas planted and the volume of production. IQQO is conducting research to improve the highland cereals: bread wheat, durum wheat, emmer wheat, food and malt barley. Similarly, the major staple lowland and midland cereals such as maize, tef, sorghum, finger millet, rice, triticale, and others are also being addressed. For all crops a number of improved cultivars and management packages have been developed. In general some 48 improved crop varieties have been released for the various highland and lowland cereal crops. Other production technologies and practices (agronomic, cropping system & crop protection) have also been recommended. Various pulses and oil crops are grown in the region-they are major sources of protein for the smallholder peasants and some pulse crops such as common bean and chickpea also significantly contribute to the export and foreign exchange earnings. Among oil crops, sesame is the most important, cultivated over wider range of areas and significantly contributes to the export market. Pulses and oil crops under research in IQQO and for which significant genetic gains have been achieved include faba bean, field pea, lentil, common bean, soybean from the lowland pulse, sesame, linseed and Gomenzer (Ethiopian Mustard). To date, some 36 improved varieties have been released for these crops. Similarly, other production technologies and practices (agronomic, cropping system & crop protection) have also been recommended. A number of horticultural crops belonging to roots and tubers, vegetables, tropical fruits that are adapted to the various agro ecologies of the region are under research for improvement of yield and other attributes. Roots & tubers include potato, sweet potato, yam; vegetables include onion, pepper, garlic and tropical fruits under research in IQQO include banana and mango mainly with regard to variety adaptation . About 19 improved cultivars have been released for the major horticultural crops by IQQO and many more improved varieties, particularly those of wider adaptability such as the potato varieties, released by other centers have been tested and recommended for production in similar agro ecologies to the recommendation domain. The three major seed spices that are currently under improvement for yield and other attributes are fenugreek, black cumin and coriander. Of these, fenugreek is widely cultivated in many parts of the region where as the other two seed spices are majorly cultivated in some pockets of the region such Shirka district of Arsi Zone and Goro and Ginner districts of Bale Zone. IQQO has released seven improved varieties for these crops.